The following comments were contributed regarding the idea that intuition is a pattern recognition algorithm operating in a combinatorial coding space. "Hello - thanks for your website. I am a currency trader trying to understand why even the fathers of algorithmic trading allow for discretion and more importantly why I feel like I recognize patterns with nothing but price data and yet have no way of proving it. Your explanation of intuition seems perfectly logical." Professor Marvin Minsky, Professor of Media Arts and Sciences, Massachusetts Institute of Technology. Significant contributions to AI, cognitive psychology, mathematics, computational linguistics, robotics, and optics. Dr. Larry Vandervert. Founder and Professor of the Department of Psychology, Spokane Falls Community College, for 31 years. Published works on creativity, on child prodigy, on universal grammer, on language acquisition, on chaos theory, on quantum theory, on mathematics, on systems theory, on science. ".......... If Buck got the Nobel Prize, how can you say we're neglecting her work? But good point, there's definitely convergence there." Refers to the suggestion that the scientific community had completely neglected the importance of combinatorial coding. But, convergence is acknowledged between the phenomenon and pattern recognition by the mind. John Horgan, Author, "Can A Single Brain Cell Think?" Article in Discover magazine. "........... fascinating and ought to help researchers in many areas – artificial intelligence, the human brain and human psychology. That the human mind can process all kinds of information with such speed is perhaps not surprising .......... the algorithm seeks to explain how it does that. If this knowledge can enable people understand, control and channel their emotions better, that would be a great step in improving our collective well-being." Dr. B. Nanjamma Chinnappa, Formerly - Senior Advisor, Statistics Canada; Visiting Fellow, Cambridge University; President, International Association of Survey Statisticians; Statistician, Indian Statistical Institute; Member, International Statistical Institute & The American Statistical Association; Editor and Author, Business Survey Methods (Wiley Series in Probability and Statistics), and co-author of the translation of Pattole Palame (on Kodava Culture). "............ A highly commendable intellectual endeavour, which can provide leads to researchers in artificial intelligence, cognitive sciences and advanced computer systems." Dr.K.Sundaram, PhD., Formerly - Head of the Department of Computer Science, University of Madras, Principal Contributions in Bio-Physics and Computer Science at the University, at the All India Institute of Medical Sciences, New Delhi and at NASA, U.S.A.
" .............. 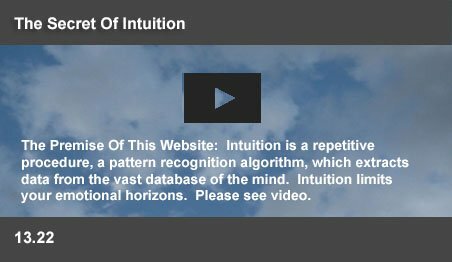 The concept of an intuitive algorithm may provide us a key to the mechanisms and working of the human brain and the concept of "MIND." Dr.K.Jagannathan, MD DTM FAMS, Consultant Neurologist. "........... 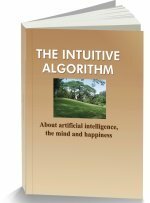 The tenet of The Intuitive Algorithm raises innovative and interesting questions on the very basis of intuitive thinking." Dr.Prithika Chary MD DM(Neuro) PhD (Neuro) MNAMS (Neuro) MCh (Neurosurgey) Neurologist & Neurosurgeon. Recipient - Indian Council of Medical Research Award for Outstanding Woman Scientist of The Year 1982. D.J.K.Cornelius, B.E., Chairman, Technical Advisory Group for Science and Technology in Mission Mode, Mental Retardation Division, Ministry of Social Justice and Empowerment, Government of India, Member, Governing Council, National Institute for Mentally Handicapped, Founder Member and former President, Spastic Society of Tamil Nadu. Pankaj Dewan, Commander in The Indian Navy, responsible for maintaining one of its large scale database applications and networks.